DOORS CLOSE BY 12:45, PLEASE BE ON TIME, THANK YOU! If you would like to experience a powerful, bonding group healing – do join us! Originally from Czech Republic, Jakub Sulc has studied psychology (MA) and underwent Family Constellations training in 2013 with Johan Zeilhoffer, direct student of Bert Hellinger (founder of Family Constellations). Furthermore, Jakub also has psychotherapy training in Gestalt modality. Jakub believes that Family Constellations are not only an efficient therapy modality and development, it is also proof that magic does exists in the world. He sees it in the system dynamics that actually make the constellations happen. Jakub’s way of constellations is not too much about talking but mainly about here and now, observing the inner movements and their manifestations within the field of roles. It is about feelings, tensions and inner pulls, about configurations in space and contact; only then come the few needed sentences. Many of us unconsciously base their identity on destructive familial patterns of anxiety, depression, anger, guilt, aloneness, alcoholism and even illness as a way of belonging in our families to protect their existence. Children seldom or never dare to live a happier or more fulfilling life than their parents. Unconsciously they remain loyal to unspoken family traditions that work invisibly. Family Constellation is a three-dimensional group process that has the power to shift generations of suffering and unhappiness. It allows us to break the old patterns so that we can live healthier, happier, more fulfilled lives. A constellation can lead to a moment of insight; when a new life course can be set in motion. It happens through a process of discovering underlying family bonds and forces that have been carried unconsciously over several generations. The old patterns can be reshaped and gradually healed by transforming our beliefs and our perception through acknowledging the present moment, the here and now. Constellations offer a different angle of view on stuck patterns and situations and thus help to pave way to acceptance and forgiveness. It is a process in which we facilitate shift from pain and suffering towards perception of truth and love. The insight gained from a constellation can help an individual to reconnect with his inner resources and with those of other members of the family system. It can be a start of motion for a gradual and very strong healing process. There are basically three options for you. You can simply observe the whole process when someone else comes with their question and has her / his constellation done. In this situation, in case you are not picked as a representative of one of the roles, you simply watch. In case you are picked to represent one of the roles within the constellation (and you can always say “no” if you feel you have a strong reason for that) you will play an active part. However all to do is be present and observe what is going on inside you. You do not have to act out anything, simply see and feel what comes to you and then phrase it in words or acts. When you have your own constellation done you come with a question. The facilitator may or may not ask you some complementing questions and then tells you to pick people as representatives for certain roles (including yours) from the system connected to your question. Then you sit and watch until you time comes to take over your own role in the constellation. All three roles have an equally important role in supporting the constellation by holding its energy in the field. By the end of the workshop you will see how we are all connected and how judgment and secrets can poison not only relationships but an entire family system. In every situation the person facilitating the constellations will be there with you and for you. We have two leaders of the group so that the environment if completely safe for everyone. When you have an urgent question or concern you can have your own constellation done. The most important thing is to try to phrase in clears sentence or sentences what situation would you like to look at and what would you like the result to be. Simply start to look within to find the best words to make your question as clear as possible. “I want the relationships in my family to be better”. Being specific allows you to work with specific situations. But we will talk about this again before we start the first constellation. You can also do some research into your family history and discovering if any unusual circumstances befell the members of that family. This can help but is not necessary. I just wanted to thank you for the session the other night. It’s hard for me to describe what the experience was like for me, and I’m not sure I totally understand it. It was scary, uncomfortable, unnerving, yet peaceful and I believe, opened a window to my soul. I was totally blown away, and am still somewhat baffled. I have never experienced anything like this before. I don’t understand how those complete strangers knew my family. I’m not dwelling on it, but rather just letting it be. Even though I don’t fully understand what happened, I know it was good. I realized I was angry at my brother for leaving me, he had always been the one to take care of me. For me to hear the words spoken that he was okay had such an incredibly positive impact on me. The night he died, I think the moment he left his body on the operating table, he came to me. Nobody has ever believed me, but I remember so well feeling his touch on my skin. I wonder if he was telling me he was okay? I knew he had died, even though I wasn’t told until the next day when I was shown the newspaper article by my father. I also realized how long I had been carrying the burdens of my mother. I thought that was my job as I became the “peacemaker” in my family from there on out. When my mom died she requested that I emotionally take care of my sister and her family along with my father. One of the reason I came overseas was to get away from my family because I couldn’t do it anymore. I realize now, I had not been taking care of myself because there was no energy left after caring for everyone else. I am in awe that I am 56 years old and just now figuring this out, but thankful that each day begins anew. The work you do is so important and I thank you for giving of yourselves to help others heal. I told Robert I have felt a shift in my being. I don’t claim to understand it, or know how to describe it, but I believe I am on a lightened path, one that will bring more peace to my life. I am grateful to you both, and to all that I have come into contact with at CSL. The events I have attended there have been such a blessing in my life. 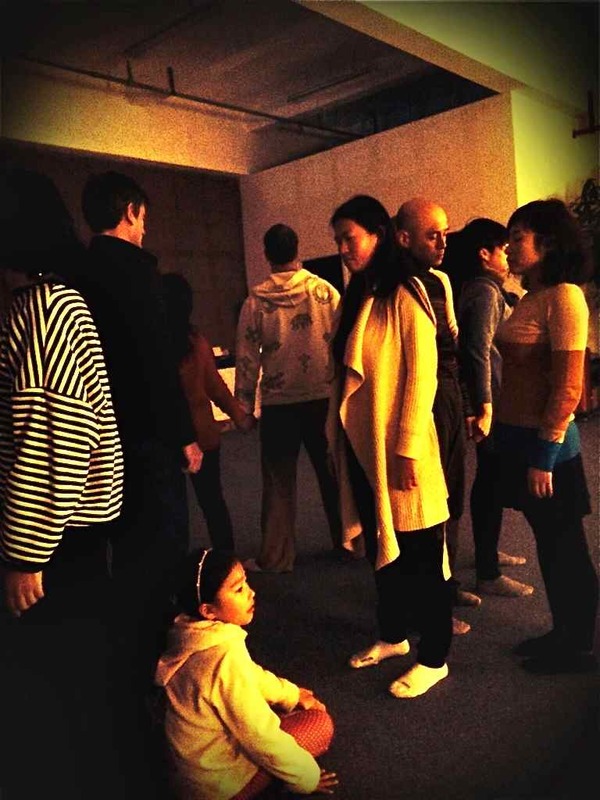 “When I first heard about Family Constellation workshop, I had no idea about it. I had many questions about my family destiny and was wondering either I could change it and make my beloved ones and myself happy. The event seemed to be just the right place to go for the answers.Twenty minutes later we were sitting in a circle around a candle and fragrance sticks and Mariska introduced us what does Family Constellation mean and what we were supposed to do.What was happening next is hard to explain with words. It was a very emotional process of reproduction of my family member’s relations plaid by other people, who I didn’t know before this evening. I was just sitting aside and observing the process. I had a chance to see the conflict from outside with different eyes and make my decision.My decision was to change my attitude to the conflict and let my family to step into my life, which before that moment was “not their business” thing. Last summer I went home for a vacation and first thing decided to have a talk with my mother and grandmother. It wasn’t easy and we yelled and cried and fought, but after a while we told each other openly what had bothered us and we finally closed our arms in a hug and spent like that long time crying and asking each other for forgiveness. For the first time we let our emotions go and become as close as relatives should be. That was the moment of pure happiness and release. Since that time our relations changed. We became more careful and patient to each other. Now I know they love me and support and it inspires me to be patient with them and show them my love and care more often. We still have a lot to work on, but we have broken through in the field of love and understanding. Did Family Constellation benefit my life? Absolutely! It changed my life and it can change yours. It was my first time participating in such activity, I was partly excited and partly worried because I had a big hope to resolve a very important issue through the family co. I was the case study of that session. The experience was weird and amazing. People who are chosen by me to play my family members (including playing me) were able to display the energy of my family members, without knowing too much facts and details about them. My family is a very traditional Chinese family, there’s not much communication going on. Through Family Co. I was vividly shown the relationships and inner struggles of my family members, which I never know before. Through seeing and understanding, lot of emotions and regrets resolved on their own. Thank you so much again to the facilitators!